(NewsUSA) - Throughout the years, technology has improved drastically - creating machines and devices that were unimaginable 50 years ago. And perhaps the most advanced and interesting of society's technological advancements is robots - but it is also the most misunderstood. In fact, according to recent Pew Research, more than 70 percent of Americans express concern about a world in which machines perform many of the tasks done by humans. Fortunately, there are people who believe humans and robots can coexist and work together in harmony and are working to debunk many of the fears people have about them. 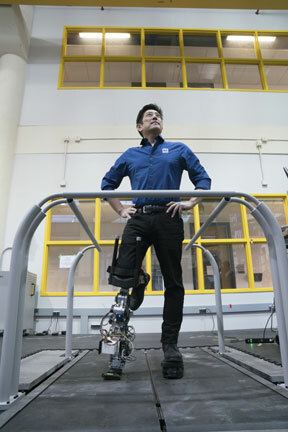 Mouser Electronics Inc., a leading semiconductor and electronics component distributor based in Fort Worth, TX, and celebrity engineer Grant Imahara, have teamed up again for the fourth consecutive year for their Empowering Innovation Together program. This year's program is called Generation Robot, which features five videos filmed across the world, including in the U.S., Germany and Japan. Mouser's goal is to reach innovators around the globe by showing how robots have a positive impact on humanity and change how people see the possibility of interacting with them. Throughout the Generation Robot series, the entire spectrum of robotics will be examined, as will the understanding of how robots not only have a technological impact on society, but also a social and moral one. The video series begins with the Imahara visiting the Institute for Robotics and Intelligent Machines at Georgia Tech and speaking with the executive director, Dr. Magnus Egerstedt. There, he explores several aspects of robots, such as the basics of the machines, myths and misconceptions, as well as the hopes for, and fears of, the advancement of robot technology. In the video, Dr. Egerstedt mentions that robots used to be about mechanical engineering, but now modern robots involve psychology, because these machines will be working along with humans and thus they need to understand people. The second video, which takes place in Augsburg, Germany, dives into the real meaning of robots and humans working together, as well as the way this interaction will benefit society. The third video, which comes out in mid-July, will focus on the all-robot-staffed hotel in Nagasaki, Japan, where Imahara investigates the way robots behave utilizing only artificial intelligence. To watch all the videos and learn more about Mouser and Generation Robot, visit https://www.mouser.com/empowering-innovation.